In the Market to Buy or Sell? Call for a Free Market Analysis. Island of Oahu including: Aiea, Ewa Beach, Hawaii Kai, Honolulu, Kailua, Kaneohe, Kapolei, Makakilo, Mililani, North Shore, Pearl City, Wahiawa, Waikele, Waikiki, Waimanalo & Waipahu Communities. 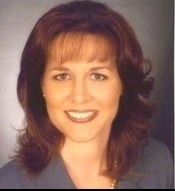 Robin McCann represents Robin McCann Realty’s Office as a Realtor and Principal Broker. Mrs. McCann attended Hawaii Baptist Academy, and received her Bachelor of Arts Degree in Communications from the University of Hawaii in 1988. She attributes her success to her marketing background, market knowledge, enthusiasm, and professional approach. Robin is a member of the Honolulu Board of Realtors, Hawaii Association of Realtors, National Association of Realtors, Accredited Buyer’s Representative Association, and National Association of Residential Property Managers.